The flight period is October from July. Aeshna nigroflava is inhabiting in Kinki area usually.Up to now I confirmed 2 species of egg-parasitoids wasps from Aeshna nigroflava. 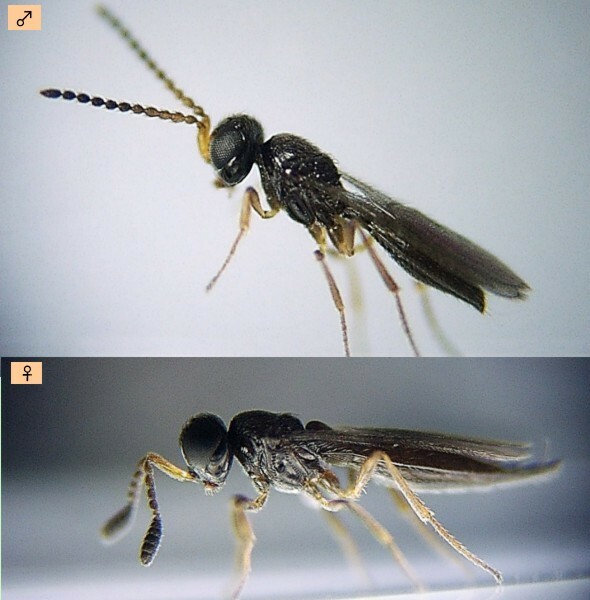 Those are the egg-parasitoids wasp that belongs to Eulophidae and Scelionidae. 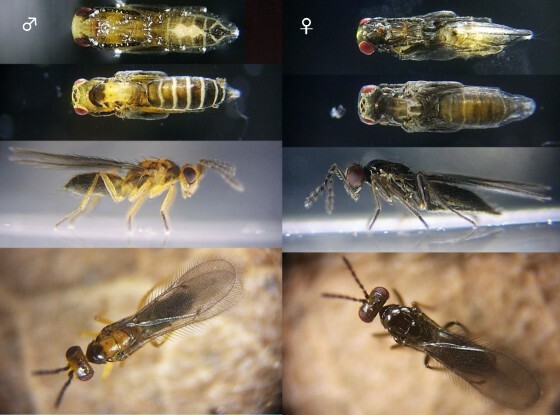 Ｆigure5-1: 1.Oviposition of Aeshna nigroflava. 2. The inhabiting environment of Aeshna nigroflava. 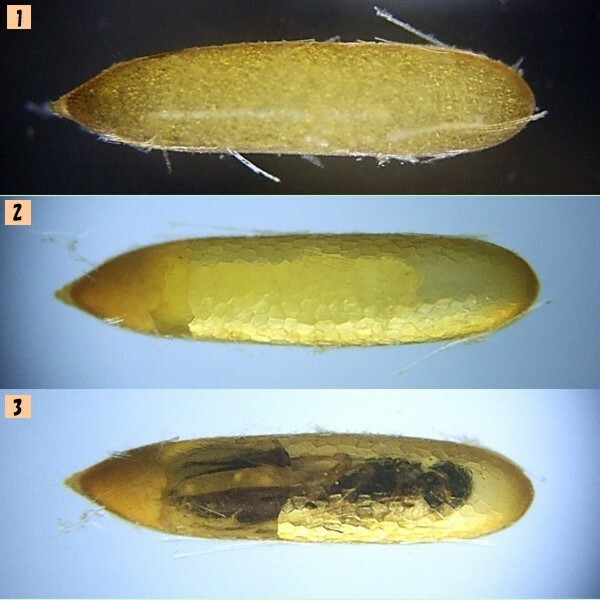 Ｆigure5-3: Size ♂: body length 1.29mm. ♀: body length 1.39mm. 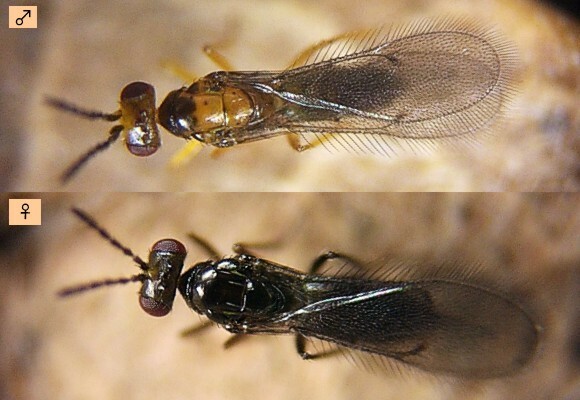 Ｆigure5-5: Scelionidae ♂:body length 1.35mm. ♀: body length 1.65mm.